Using a modern and compact interface, input and visualise your analysis model quickly and intuitively in the fully rendered modelling environment. Both linear and various approaches to second order analysis are provided. 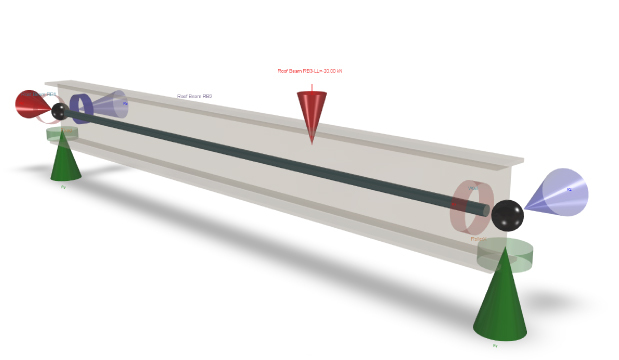 Linear analysis automatically warns the user when deflections exceed definable limits, or the equilibrium review suggests a second order approach is appropriate. 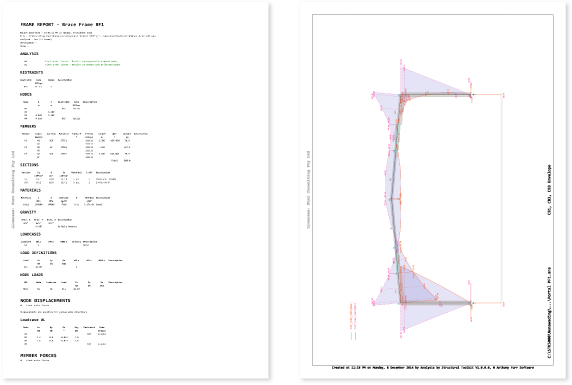 Being within the Structural Toolkit environment allows an Analysis document to be added to the project like any other member. It can be renamed, copied, modified and opened in a second document tab to compare the results. Complete output reports and printing of diagrams in full colour with full perspective from any chosen viewpoint. 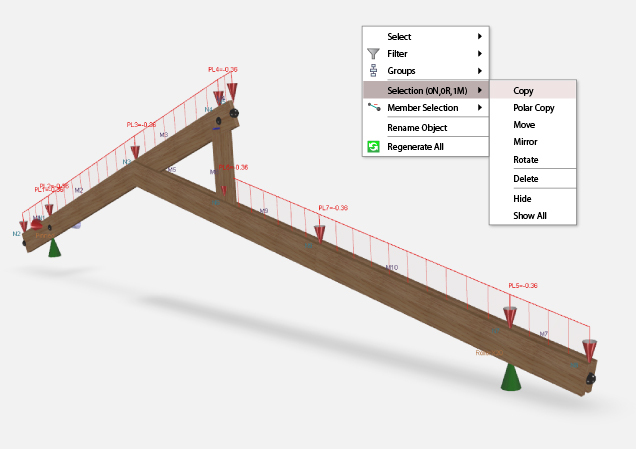 Analysis Lite is available to all users of Structural Toolkit with a current subscription. 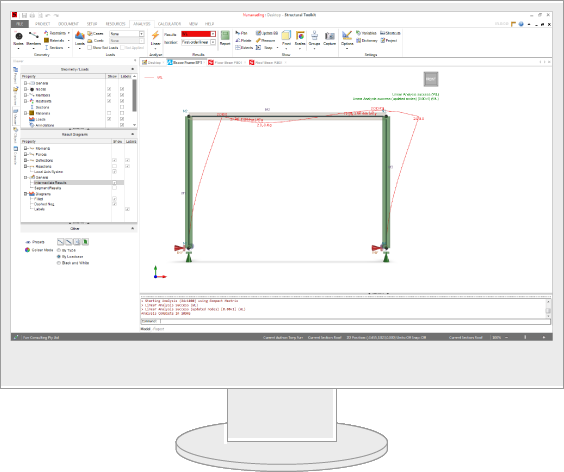 Analysis Lite allows linear analysis utilising up to 4 nodes, any number of load combinations, simple restraints and simple member releases. 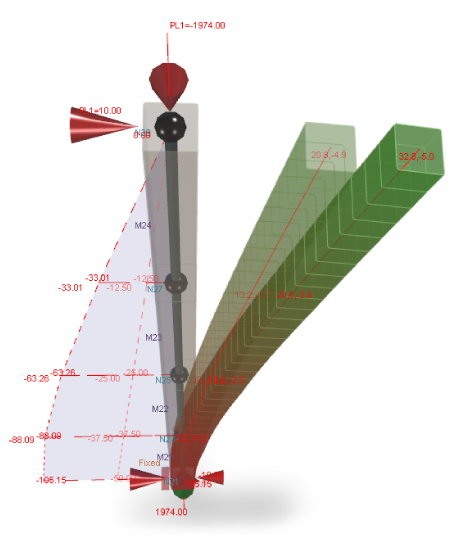 This will allow you to analysis a continuous beam with up to 3 spans, or a brace frame. Analysis Standard may be purchased at the time of purchase of Structural Toolkit, or as a later upgrade.